We already know that Mahindra is readying a new competitor for the compact SUV segment. 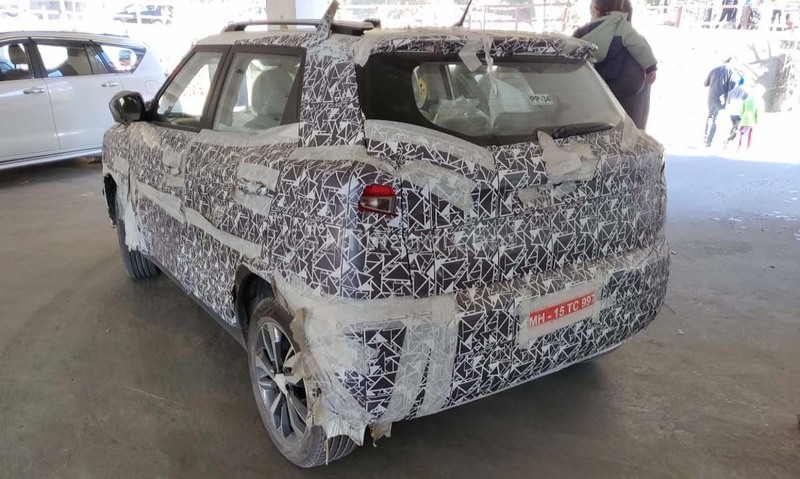 This new car, codenamed the Mahindra S201, will be based on the SsangYong Tivoli. It will compete against the Maruti Suzuki Vitara Brezza, Ford Ecosport, Tata Nexon and, to a certain extent, the Hyundai Creta as well. Now, Mahindra will be revealing its official name tomorrow. Revealing the name before launch is a new trend started by Mahindra with Marazzo. Also, if some reports are to be believed, the upcoming car will be launched in January 2019. This is slightly later than the earlier expected launch dates which were around the festive season. Notably, Mahindra recently launched its Alturas G4 premium SUV. This may be the reason for S201’s launch getting pushed to 2019. Earlier, the S201 was rumoured to be named as XUV300 but, if some recent reports are to be believed, it might end up being called as Inferno. This name was also rumoured to be the one for Alturas G4 SUV. Let’s see how much correct the information turns out to be this time around. The car will feature a completely redesigned front grill to incorporate the Mahindra design language & branding. It will feature a projector headlight unit which will house the LED DRL’s as well. There are reports that the headlights may be all LED ones, at least on the top end variants. S201 will have exactly the same design on the sides as Tivoli, sporting big wheel arches. The car is expected to feature 17-inch diamond cut alloy wheels which might be on offer only on the top end variant. It will come with a completely redesigned rear end with an all-new tail light cluster. This will help make it more Mahindraesk. Additionally, tail lights will be all LED as well. Also, the compact SUV will feature a roof-mounted spoiler with integrated brake light. 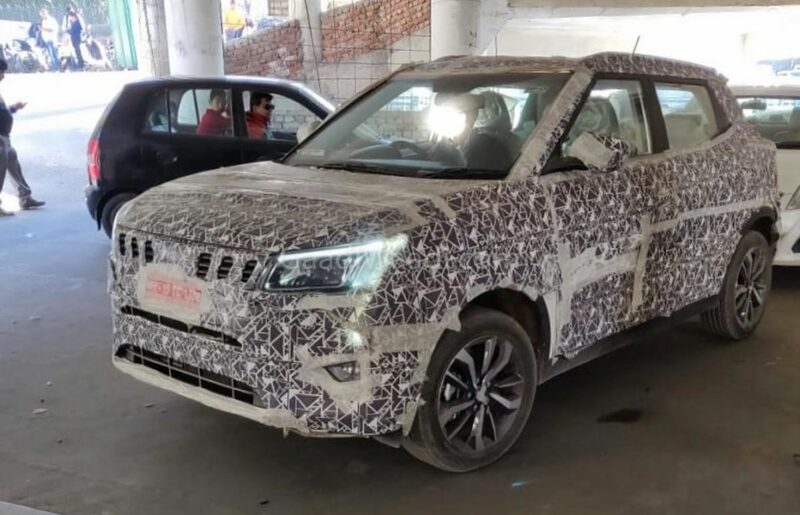 The car is expected to feature exactly the same interior design & features as the Tivoli with exception of Mahindra badging instead of SsangYong. Tivoli is famous for its great inside space and we can expect the same from S201 too. The car will have a wide enough rear seat to carry three adults with ease. It will come loaded with features like push-button start, leather seats, sunroof and 7 airbags. The SUV will get a two pod analogue instrument cluster with a MID placed in between the meters. 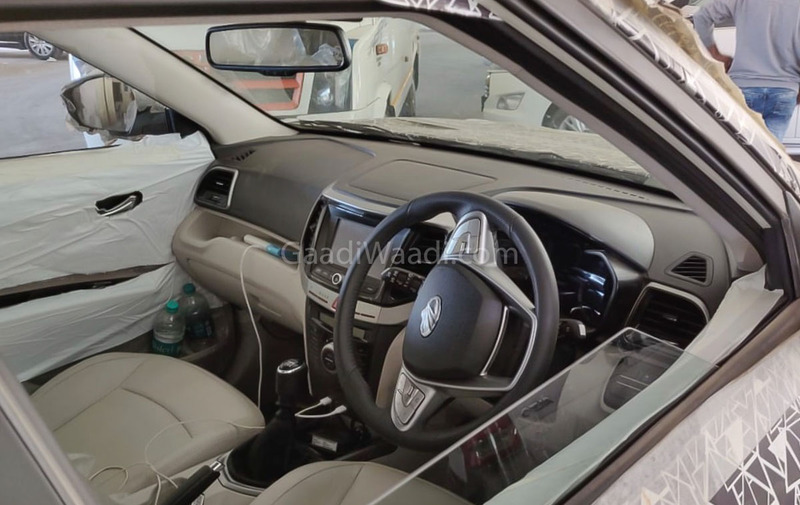 The international model comes with a black & grey interior but, S201 will feature a dual tone black & beige one, something which we Indians love. The centre console will feature a piano black finish and steering wheel will feature audio, cruise control & MID control buttons. Features like dual-zone climate control, 7-inch touchscreen infotainment system (Mahindra’s version), cruise control, rain sensing wipers, auto headlights, reverse camera and all-round parking sensors from the international spec Tivoli are expected to be offered on S201 as well. There is also an expectation of the car featuring a panoramic sunroof as well. There is a growing demand for this feature in India and S201 getting it will further increase its appeal. Mahindra S201 is expected to come powered by the same 1.5L diesel engine as offered on the Marazzo. We need to see if it gets the same tune or comes slightly detuned. If it comes in the same tune then, it will produce 121BHP and 300NM torque, which is considerably more than its rivals. There is also a speculation of a 1.2L 3 cylinder turbo petrol engine to be on offer. The car will come with a 6-speed manual transmission. We expect Mahindra to include autobox also as an option. Though the international version of the car comes with offroad hardware like an all-wheel-drive system and a differential lock, we do not expect Mahindra to bring it to India even as an option (at least initially). Looking at features of the car and if Mahindra ends up pricing it well, it definitely has a potential to disrupt the compact SUV segment. The compact SUV from Mahindra looks good. It is based on the SsangYong Tivoli.